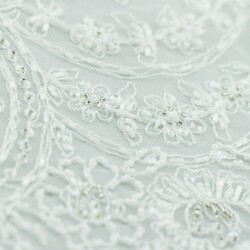 Wide wedding lace is a popular dress fabric for bridal dressmaking. 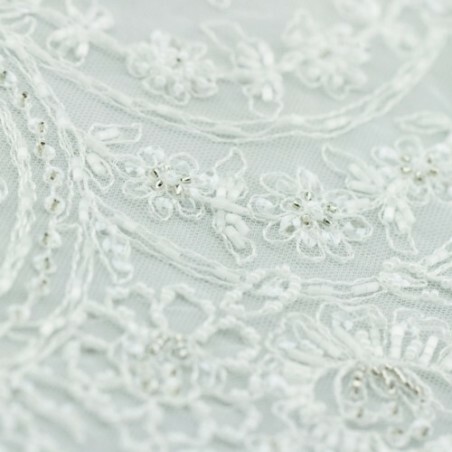 We have wedding dress lace fabric in many weights from lightweight Chantilly embroidered tulle, through laces embellished with 3D flowers, cord, or beads, to heavier guipure or 'venice' laces. Wonderful wedding dress material!